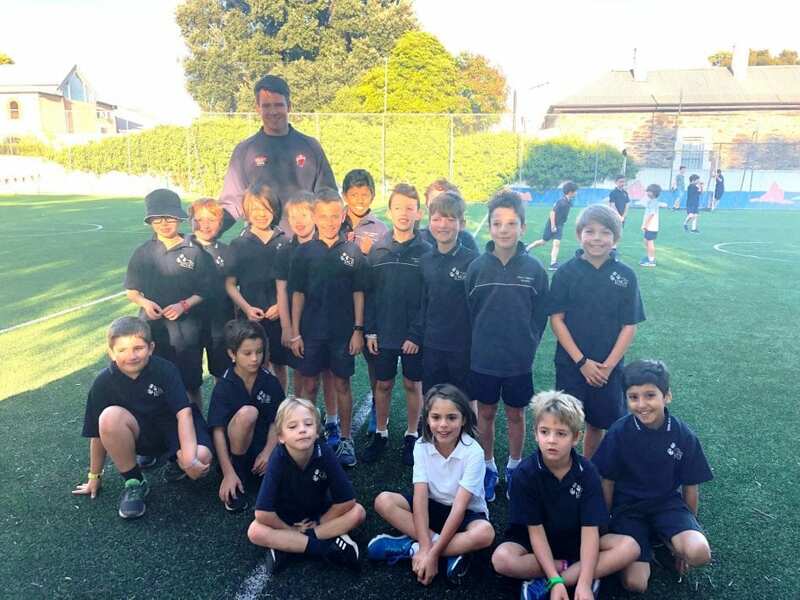 Our Year 3 Cricket teams are flying through the season so far, having great success and enjoyment. On Monday they were treated to a special treat with Redbacks opener, Jake Winter, coming along to the early morning practice session. Max and Blake especially enjoyed the bowling practice with Jake. Harrison recalled that they had to always keep their head pointing at the stumps and Seb enjoyed running between the wickets, calling, “Yes, no or wait”. Jake could see plenty of talent amongst our players and told them if they kept on practising they could end up playing for the Redbacks. We have three teams – Blue, Navy and White who are coached by Ben Whelan, Marco Lippis , Tim Allen and Matt Steemson. It was clear when about 30 of the players squeezed into my office, that they shared a great appreciation and respect for all of our coaches. Tyler said they have been told to “respect your team mates” as a basic rule. Everyone seems to understand and reflect that in their play. Thanks and congratulations to all involved – players, coaches and supportive parents. Next week we will share news from our other cricket teams.